Properties in Netherlands average 4.4 out of 5 stars. Charming cottage with private garden, near the sea. Incl. free bikes. Property 11: Charming cottage with private garden, near the sea. Incl. free bikes. A west-frieze house near the IJsselmeer and the North Sea. Property 17: A west-frieze house near the IJsselmeer and the North Sea. Beach studio for two with free parking space and fast wifi! Property 18: Beach studio for two with free parking space and fast wifi! Holiday house near the beach and dunes of Callantsoog, decided on private property. Property 19: Holiday house near the beach and dunes of Callantsoog, decided on private property. Luxury modern bungalow near the dunes and beach. Free WIFI. Property 26: Luxury modern bungalow near the dunes and beach. Free WIFI. 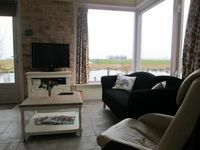 Cosy and comfortable detached holiday house, close to dunes and centre Schoorl. 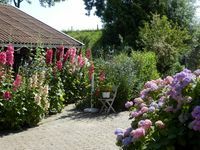 Property 28: Cosy and comfortable detached holiday house, close to dunes and centre Schoorl. Comfortable, cozy holiday home within walking distance of the dunes and sea; "So at Sea"! Property 34: Comfortable, cozy holiday home within walking distance of the dunes and sea; "So at Sea"! Spacious modern bungalow, lots of greenery, on border lake and 1.5 km from Walibi World. Property 44: Spacious modern bungalow, lots of greenery, on border lake and 1.5 km from Walibi World. Ellen &amp; Jaques are such a lovely sweet, couple who provided more than needed. We appreciated all the treats and kindness. We hope to be back soon! Perfect stay just outside of Amsterdam. I could sit and stare out the windows all day. Not super fancy, but our needs were comfortably met. We enjoyed the heated floors, and the shower was so lovely. The towels were quiet rough, but nothing bad enough to take away from this magic of this place. We enjoyed taking the canoe out very much. Also, the bikes were fun to stroll around in and also convenient to get to the bus stop (10 minute walk, 2 minute ride). I would reccomend this location!